Welcome to Darwin Family Life!!! My name is Amy and I am the owner and founder of Darwin Family Life. I am local term local and Mummy to four munchkins – My big girl is 7, twin boys who are 5 and my baby girl who is 2. My life is a bit of a whirlwind and I call it my Happy Chaos! Some days more happy, some days more chaos and other days in between! 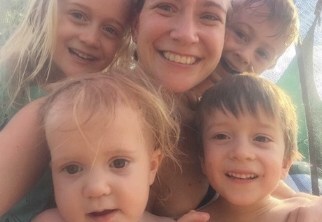 I have grown up in Darwin and decided to start my family here – we love Darwin and the family life it has so I could not resist the opportunity to create a community resource for all us Mums to connect. Darwin Family Life is your local guide to everything family in Darwin! We have playground reviews and videos which explain what each playground is like and what facilities it has and highlights. We also have market, playgroup, blog post area and family events page which you can upload your own events to for everyone to see! Our directory is full of great local businesses all relating to families and children - support local and check them out. Darwin is a transient place and we always have new families arriving so Darwin Family Life will show you places to go, events happening and where to meet other Darwin Mums. Being a Mum is the best job in the world but can also be the most exhausting and challenging – we hope you can connect with other Darwin Mums if you are new here! I hope you enjoy checking out my website and thank you for stopping by. Don’t forget to join us on our Facebook group and page to join our little online community. and join our Facebook Group "Darwin Family Life - Community Hub"